indeed...bet that one made whammy obammy fair steam at the ears. Nice bill but this is only what was introduced. It says House Bill 1159 but my searches talk find 1056. I'm not sure of the final outcome. 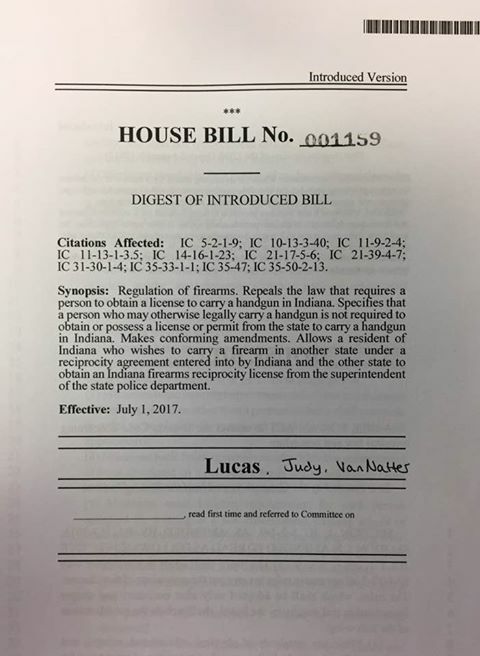 From what I see, Indiana residents still need a permit to carry, e.g., "Personal Protection carry permit".